The summer months bring low morning tides along the California coast, providing an opportunity to see one of the state’s most unusual inhabitants, sea slugs. Also called nudibranchs, many of these relatives of snails are brightly colored and stand out among the seaweed and anemones living next to them in tidepools. But without a protective shell, big jaws or sharp claws, how do these squishy little creatures get away with such flamboyant colors in a habitat full of predators? As it turns out, the nudibranchs’ colors serve as a warning to predators: These sea slugs are packing some very sophisticated defenses. And some aren’t above stealing weapons from their prey. 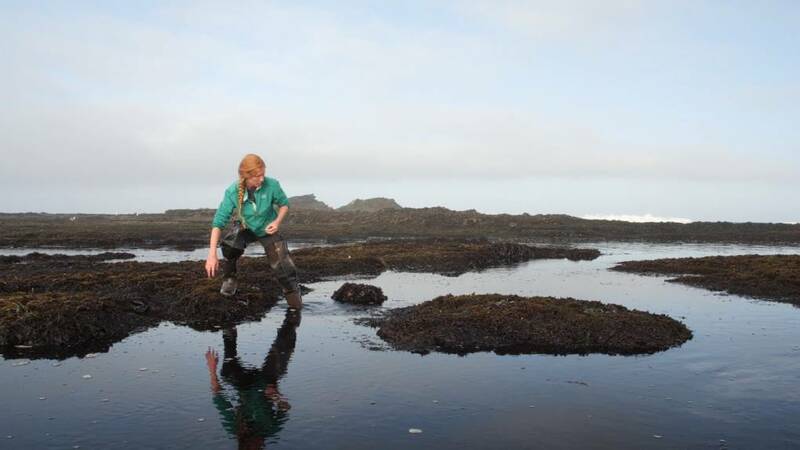 Gosliner and Brenna Green and Emily Otstott, graduate students at San Francisco State University, were out at dawn earlier this summer searching tidepools and floating docks around the Bay Area. They want to learn more about how these delicate little sea slugs survive and how changing ocean temperatures might threaten their futures. Nudibranchs come in a staggering variety of shapes and sizes. Many accumulate toxic or bad-tasting chemicals from their prey, causing predators like fish and crabs to learn that the flashy colors mean the nudibranch wouldn’t make a good meal. 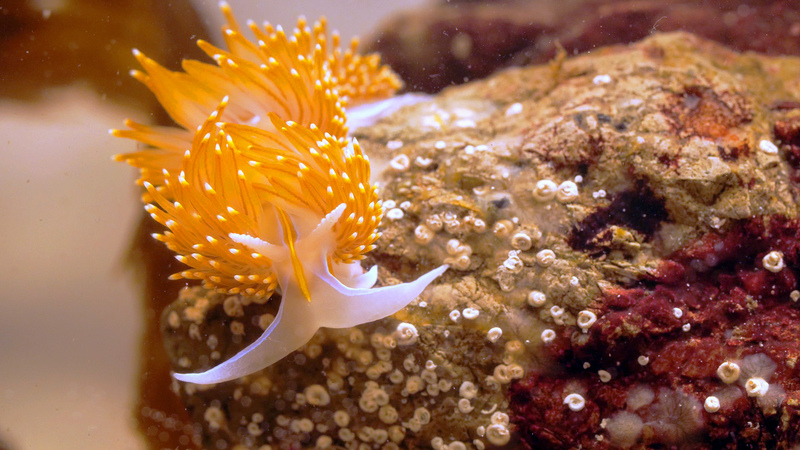 But Gosliner and his graduate student assistants are particularly interested in a group of nudibranchs that sport dozens of long outgrowths on their backs called cerata, which resemble colorful dreadlocks. These species take stealing defenses from their prey to a whole new level. Many of these nudibranchs feed on hydroids, smaller relatives of jellies that stay attached to the rocky seafloor. According to Gosliner, most hydroids are about the size of half of your little finger, some a bit larger. “Some of them look like seaweed, while others have a branching pattern that resembles a bird’s feather,” he said. Like their free-swimming cousins, hydroids have tentacles armed with stinging cells to catch tiny plankton out of the water. Each one of those stinging cells contains a structure called a nematocyst that resembles a microscopic harpoon, tethered to the tentacle by a long hollow tube. It’s what gives jellies their sting. But they’re not enough to stop nudibranchs from devouring the hydroids -- stinging tentacles and all. They seem unfazed, even as the nematocysts fire off in their mouths. But not all of the stinging nematocysts fire right away. Some that are not yet fully mature stay intact and travel through the nudibranch’s complex digestive tract to become a fearsome weapon. If a fish or crab tries to bite the nudibranch, it squeezes those sacs and shoots out the stingers, which immediately pop in the predator's mouth. It doesn’t take long for predators to avoid the brightly colored nudibranchs. It’s a pretty crafty way to defend oneself, stealing weapons from their prey to defend against other predators. But it might not be enough to ensure the nudibranch’s survival. 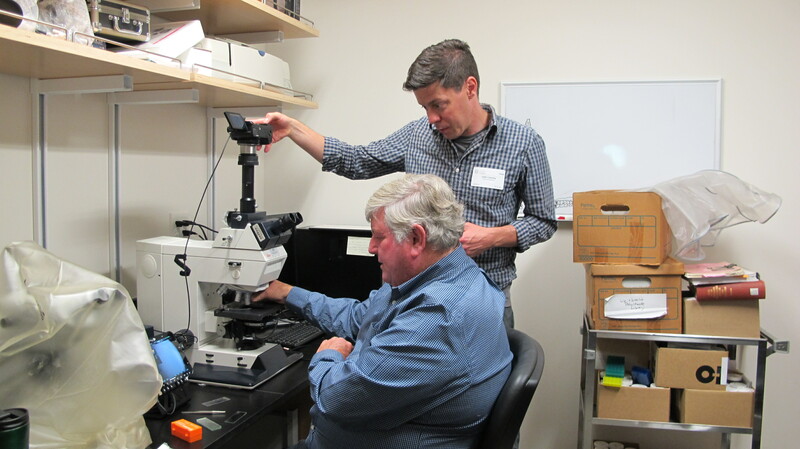 “It's really important that we study these nudibranchs now, because so many of them that rely on nematocysts for their defense are facing challenges from climate change," said Gosliner. If you live on the Pacific Coast and would like to see a nudibranch, Gosliner suggested visiting tidepools during low tide. “Look very carefully and you'll see something crawling around with bright colors,” he said. But don’t touch them. While the hydroid stingers housing in the nudibranch’s back likely won’t be able to penetrate your skin, curious hands could easily damage nudibranchs. And nudibranchs are nearly impossible to keep in aquariums, which is why you rarely see them on display.